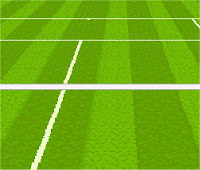 Its Wimbledon time! People are excited, strawberries are cheap in Tesco and English people are saying they are British so they can get behind Andy Murray. I meanwhile am somewhat indifferent. It’s a cliché, but I’m not a very sporty guy. I don’t really watch football, I find cricket dull and rugby scares me. The most pleasure I get from watching Tennis is from the annoyed looks of disbelief I get from others when I shout “Go on Tim!” regardless of who is playing. These are the same people who watch commenting on players form and grass conditions, while pretending they have adored Tennis for the rest of the year. I’m not even sure I understand Tennis, the game that never seems to end. 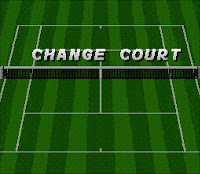 All its set points, serve breaks, and Robinson’s Juice confuses me. But as its Wimbledon I thought I best get involved in my own unique way – so I bought Super Tennis. It’s strange to think this was a launch game. Other choices make sense: Launching a Nintendo console without Mario was unknown at the time and F Zero was an excellent show case of Mode 7 (and how impressive it was to rotate one big giant sprite). 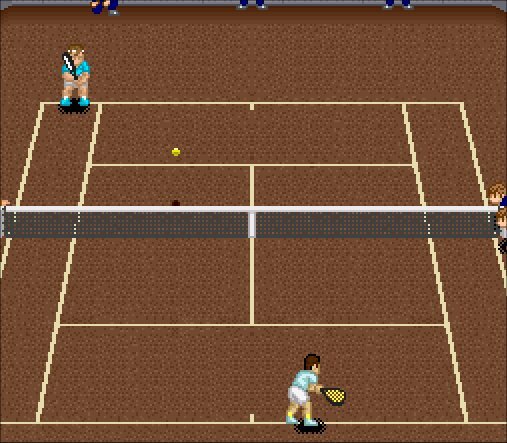 But Super Tennis, wasn’t remarkable, wasn’t really on anyone’s list of games they wanted to see get a 16 bit make over. 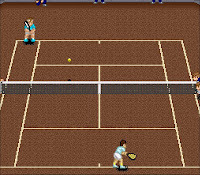 You wouldn’t label it as padding to the launch, but no one rushed out to buy a new £120 games console to play Tennis. Did this ever look good? tune that accompanies it though I do like. It’s just so quaint and familiar, a style that will encapsulate the 16 bit era. Much like the anime style slightly inflated deformed sprites, its just so Japanese. It’s almost as if the cast of some JRPG have decided that numerical sword combat is not the solution to their woes and grabbed some racquets instead. opponent with the same amount of repeated success. Indeed it’s fair to say, that like so many games winning a match is a case of reading what the AI is doing, learning the patterns and how best to exploit the system. 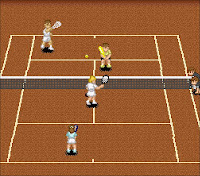 For example, the computer controlled players simply cannot return a serve when a strong back-hand is given to their right side. Simply repeat this to win every game you serve in. This presumably isn’t what I’m meant to be doing, but I like winning and it’s not as if Sue Barker is going to be complaining in the commentary that the match is boring her. I do wish you could adjust the length of each match, in exhibition mode in the same way you can tweak the colour of the ball. 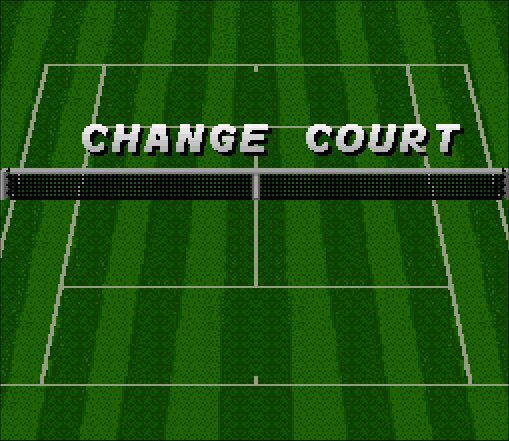 I know endurance is part of tennis, but I ended up having matches that lasted practically a whole train journey to work, and that’s an hour! In multiplayer the game of course reaches its peak. I remember back on release people would often cite Super Tennis as their go to game to play with friends, prior to the launch of Bomber Man or Mario Kart. Indeed its easy pick up and play style, lends itself well to anyone just having a go – much like Wii Sports would so many years later. 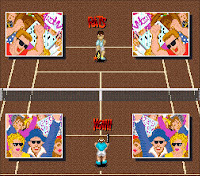 Not even limited to one on one, two players can even team up against the computer which makes the game obviously much less competitive. To be honest though, I’ve not really dabbled much with it with friends. 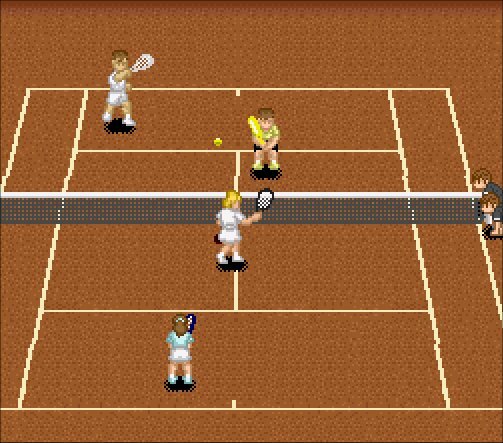 In many ways Super Tennis served as a glimpse into the future of Super Nintendo games, far more than any other launch title. Pilot Wings and F Zero may have shown off the technical prowess, but they were not often replicated or even bettered. Super Mario World, showcased excellence that was never topped, so therefore not really indicative of the quality of titles to follow. 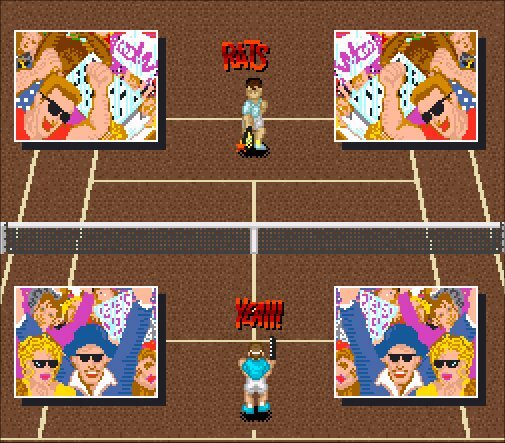 Super Tennis though, was just fantastically pleasant and understated. Like the bulk of games that made up the releases on the SNES it was well put together, functional and enjoyable but forgettable. It was never anyone’s favourite game, not even in the top 20 I’d wager. That’s not to say it’s not enjoyable, it certainly is, but there are far better games to spend time with. You know when you watch an item on eBay and forget to bid and it ends with no buyer and you kick yourself. 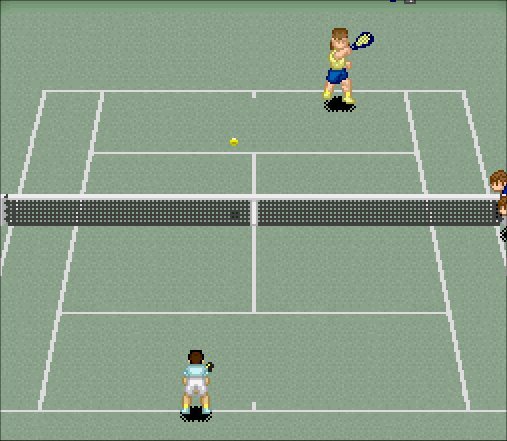 That happened with Super Tennis – it was on there for £2 and £3 p&p. Fortunately I had emailed the seller prior to the end, asking about combined postage with this and another game I bought (I’ll save the surprise!) As he didn’t reply, I emailed again after the end and being a little devious said reason I hadn’t bought it was because I didn’t know postage costs. A very apologetic email followed and he said he could include it with the other mystery game at no extra p&p. It may be frowned on by eBay but I took the risk, PayPal’d him the £2 and crossed my fingers. He was as good as his word sending the game. He was less trustworthy when it came to description. A game that’s “a hair off mint” doesn’t have worn edges, tape over the flaps or a crushed battered inlay, with crumpled instructions. But – for £2, I was perfectly happy with it.